Lola Karimova-Tillyaeva is a prominent philanthropist and former Permanent Delegate of Uzbekistan to UNESCO. Her flagship charities work with disadvantaged children and she also champions environmental causes. Fostering interethnic harmony through promoting cultural understanding is of paramount importance to her. 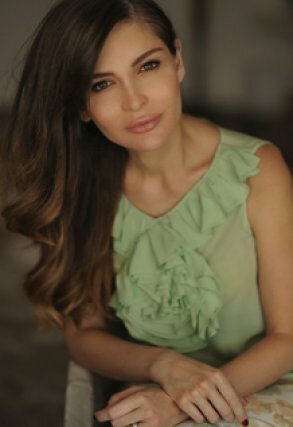 Lola Karimova-Tillyaeva was born in 1978 in Uzbekistan. She earned bachelor’s and master’s degrees in International Law from the University of World Economy and Diplomacy in Tashkent, and later received a doctorate degree in Psychology from Tashkent State University. From 2008 to 2018 she served as Uzbekistan’s envoy to UNESCO, and currently heads three major charitable organizations in Uzbekistan. Dr. Karimova-Tillyaeva has always adhered firmly to her belief that education, culture and sports are key factors in promoting peace and tolerance, and function as a bridge between civilizations, helping to overcome ignorance and stereotypes. Her first charity, the You Are Not Alone Foundation, was set up in 2002 to help severely underprivileged children. The Foundation provides funding for the overhaul of Mercy Homes (orphanages) as well as offering a wide range of support facilities to the children who grow up there, eventually helping them take their place as balanced adults in society. The Foundation has backed several major renovation, refurbishing and construction projects throughout Uzbekistan, making sure the orphanages are equipped with first rate educational and medical facilities as well as comfortable, healthy living conditions. The Foundation also funds medical treatment of children from orphanages and low-income families, including surgery grants for children with serious medical conditions. Since July 2015, it has partnered with the French Association La Chaîne de l’Espoir (Chain of Hope) to offer specialist advice and treatment to children with congenital heart diseases. Realising that some children need more specialised facilities, in 2004 Mrs Karimova-Tillyaeva founded the National Centre for the Social Adaptation of Children, a charitable organization which provides medical and educational assistance to children with disabilities. The NCSAC works in close collaboration with the representative offices of UNICEF, UNESCO, UNDP and the EU in Uzbekistan. To date, the charity has helped over 7,500 children aged between 1 and 18 with special needs, including children suffering from cerebral palsy, speech delay, autism, Down syndrome, as well as children with other learning disabilities. Lola Karimova-Tillyaeva has spearheaded the rise of gymnastics in Uzbekistan and championed gender equality in sport. In 2005, she founded the Gymnastics Federation of Uzbekistan (GFU) which raised the profile of Uzbek gymnastics internationally. Mrs. Karimova-Tillyaeva acted as President of the GFU from 2005 until her resignation earlier this year. During that time, gymnastics centres have been launched throughout the country and sportswomen from Uzbekistan’s regional gymnastic schools currently account for 70% of the national rhythmic gymnastics team. Uzbek gymnasts have won several gold, silver and bronze medals at various Asian Games and Championships while the overall calibre of the GFU was recognised by the International Federation of Gymnastics (FIG) who in 2018 placed Uzbekistan sixth in the top 10 national federations. In recognition of her contribution to the development and promotion of gymnastics in Asia, in December 2010, the General Assembly of the Asian Gymnastics Union (AGU) elected Lola Karimova-Tillyaeva as its Honorary President, and in December 2016, she was awarded the International Olympic Committee’s “Women and Sport” diploma in recognition of her achievements and contribution to promoting gender equality in sport. In 2016, Mrs. Karimova-Tillyaeva established her third charitable organisation, the Karimov Foundation. The Foundation actively promotes Uzbekistan’s historical, cultural and literary heritage and operates programmes both in Uzbekistan and abroad. It has already launched a number of successful projects including scholarship grants for study abroad, art exhibitions, promotion of traditional handicrafts and translations of Uzbek literature. The Karimov Foundation has recently signed a partnership agreement with the UNESCO Office in Uzbekistan on joint cooperation in the areas of education, science and culture. Lola Karimova-Tillyaeva has long been a champion for the environment. Aware of the growing urgency of climate change and particularly concerned about the state of one of humanity’s most vital resources, water, in 2017 she instigated the Droplet project to harness the inspirational, evocative power of art to rally people around this cause. The Droplet is a walk-in, multi-sensory installation intended to serve as a platform for debates on pressing environmental issues and will tour extensively to raise awareness and trigger discussions on local as well as global water-related topics. In March 2018 Lola Karimova-Tillyaeva was made a Dame of the Royal Order of Francis I, an organisation internationally recognised for its significant contribution to humanitarian and charitable initiatives, as well as its role in promoting interfaith dialogue.